This warming beef and mushroom stew recipe is ideal for cooking in advance and freezing until you need it. If there's too much you can freeze it for later. 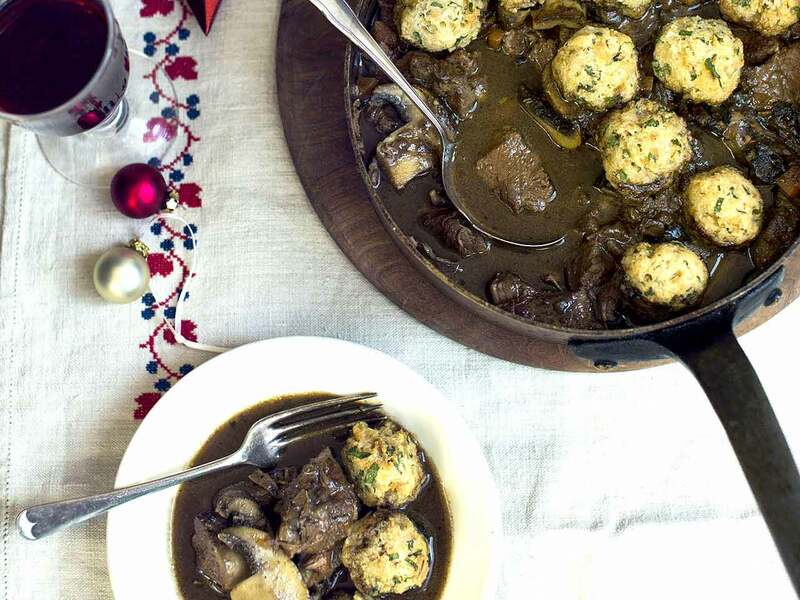 Beef and wild mushrooms in stout with horseradish dumplings. Photograph by Laura Edwards, food styling by Joss Herd. Place the flour in a bowl and toss the beef until it’s coated on all sides. Heat the oil in a large flameproof casserole and fry the beef until browned all over – it’s best to do it in batches so you don’t crowd the pan and make the meat sweat. As you cook each batch remove the meat from the pan using a slotted spoon and set aside. Add the onion, celery and carrots to the pan and fry gently for 5 minutes until softened a little. Soak the dried mushrooms in the boiling water for 20 minutes then lift them out and chop into smaller pieces, reserving the soaking liquid. Add the stout to the pan, bring to the boil and cook for 5 minutes, until reduced by about a third. Turn the heat down, put the meat back in the pan and add the stock, the rehydrated mushrooms and their soaking liquid and the thyme. Bring back to the boil then reduce to a simmer, cover and transfer to an oven preheated to 150C (300F, gas 2). 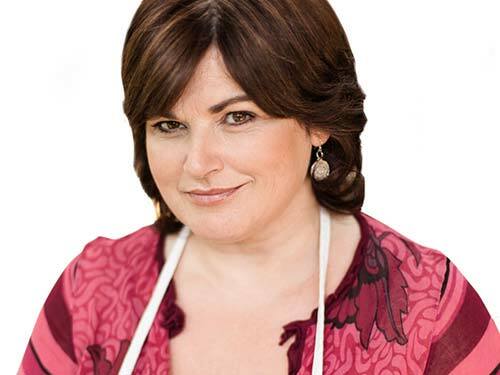 Cook for about 2½-3 hours or until tender. Check to see how the meat is doing after 2½ hours. To make the dumplings, sauté the onion in butter until pale gold. Put it in a bowl with all the other ingredients. Season. Bring the mixture together and form into 16 dumplings about the size of golf balls. The mixture will be rather loose but persevere. Put the dumplings on a baking sheet, cover loosely with clingfilm and leave in the fridge until you need them. When the beef has 30 minutes cooking time left, sauté the fresh mushrooms briskly in the butter to get a good colour on them, season and add to the casserole with the fruit jelly. Dot the dumplings on top and return the casserole to the oven, uncovered, to cook for the final 30 minutes. You can serve with mash – even though there are dumplings – and buttered Savoy cabbage. Something a little sweet, such as puréed or roast carrots, would be lovely on the side too. You can make the stew in advance and freeze it, then make the dumplings on the day you want to serve them – just reheat the stew and bake the dumplings on top for 30 minutes. Even if you don’t want to freeze the beef it’s good to make it a few days ahead – the flavours develop beautifully in the fridge. For warming recipes, see our collection of soups and stews.